Patient access is one of the most important areas in healthcare, as it encompasses a variety of critical roles and responsibilities within a revenue cycle. To be successful, all healthcare organizations must focus on the complete patient experience – from the moment an appointment is scheduled, until the final bill is received. Patient access holds the key to achieving a profitable revenue cycle. There are a number of key processes that affect revenue and result in rejected claims or denials from payers. Meaningful advances in patient access management services necessitate that organizations adopt best practices across all patient access departments. Best practices within the patient access department is ensuring the integrity of the registration data collected, including insurance verification, medical necessity verification, and collection of patient financial liability. Patient access is an integral part of hospitals as well as physician offices since it affects every patient and every aspect of their healthcare payment lifecycle. Patient satisfaction is the number one driver of revenue growth. A patient’s quality of care is only a fraction of the overall patient experience. It has been estimated that the patient access staff is responsible for 80 cents of every dollar that comes into a facility. 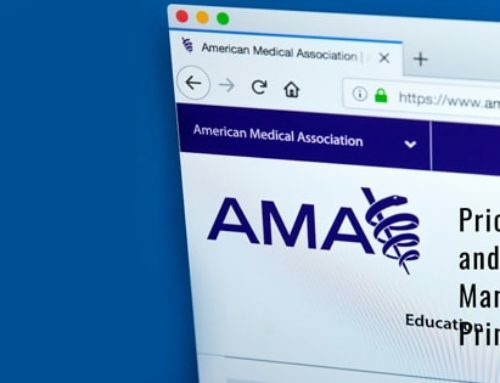 The topic is gaining importance as high-deductible plans increase while more patients are paying for their own health care, and these patients expect a higher standard of service — in person or virtually all year round. A primary care consumer choice survey found that among the ten clinic attributes that patients value, six are related to patient access services and convenience. Healthcare organizations need to optimize their revenue cycle management and collect payments at the point of service. Recouping payments later can be complicated and difficult. Organizations will be successful if they can improve patient access services management, increase their revenue collections and reduce debt while simultaneously keeping their patients satisfied. If an organization has a centralized call center that does not offer 24/7 access or does not respond conveniently for patients, then patient access service suffers, and patients are dissatisfied. Depending on their resources, healthcare providers have to adopt centralized scheduling and weigh between integrated versus stand-alone centralized call centers to ensure optimal patient access across their entire network and revenue cycle. Your strategy ideally should encompass patient scheduling, hospital registration process improvement, insurance authorization, and financial counseling. Real-time patient access software is available to address some of the most important preauthorization issues and can address some important issues around insurance eligibility and verification, medical necessity validation, and patient financial obligation and counseling. Upgrading or installing a powerful patient access software system to help with the preauthorization process is critical to preventing denials and maximizing your cash flow. A system should be able to automate and optimize the registration process and integrate the data within your practice management system. Timely, automated patient reminders can also be sent out before each patient’s visit, reminding them of their appointment and payment obligations. An effective system should also be able to analyze a patient’s previous payment history, contracts, and insurance to improve the likelihood of payment. A patient access focused software platform can help you avoid revenue leakage and enable billing by ensuring a smooth transition across diverse functions. Patient access is not only the start but is the core of the healthcare management revenue cycle. It begins with centralized scheduling, registration, and faster and more-efficient payments; leading to reduced debts; and ending with patient satisfaction. In order to maximize efficiency, it is critical to automate as many processes and steps as possible so that the patient access staff can spend more time on complex administrative tasks. The Infinx Patient Access Software is an automated preauthorization workflow solution, driven by artificial intelligence to automate the repeated tasks with workflow optimization, and exception handling by preauthorization and billing specialists. Our solutions help you get ahead of the revenue cycle problem by quickly authorizing and confirming every procedure rendered, and can be billed with near certainty to its accuracy and propensity to collect. Our experience working with payors nationwide, allows you to receive STAT approvals in as little as 20 minutes, quickly resolving delays in critical care, or initial denials when necessary. When exception cases cannot be automated, they are managed by our team of trained preauthorized and billing specialists who have deep knowledge on payor guidelines and protocols. With >99% approval on medically necessary cases, Infinx helps you preserve your revenue through the entire process. Success is when an organization can improve patient access services management, increase their revenue collections and reduce debt while simultaneously keeping their patients satisfied. Request a demo to see how you can fully automate your patient access workflow with Infinx’s patient access solutions. Contact us at sales@infinx.com.